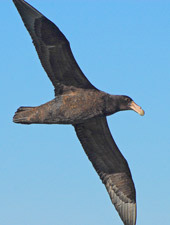 06:30 AM Birdwatching at the San Lorenzo, Fronton and Cavinzas Islands. 11:00 AM Start of the journey back to shore. 01:00 PM Arriving at the Marina Yatch Club. We'll depart very early in the morning from the port of Callao. 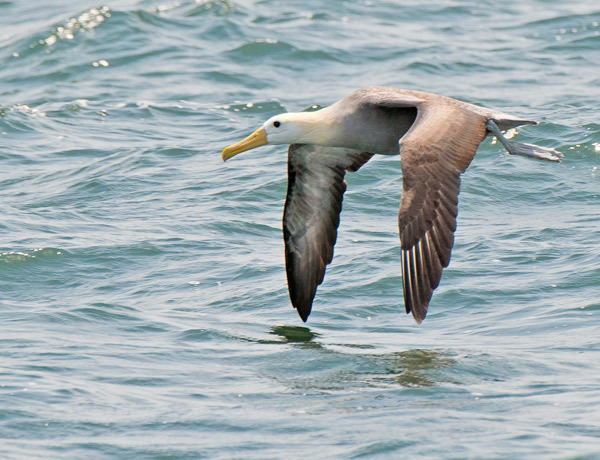 After a few minutes navigating, we will circle the San Lorenzo, Fronton and Cavinzas Islands, where we will watch birds like the Peruvian Booby, Peruvian Pelican, Guanay Cormorant, Red-legged Cormorant, Inca Tern, Blackish Oystercatcher, Humboldt Penguin and the endemic Surf Cinclodes. 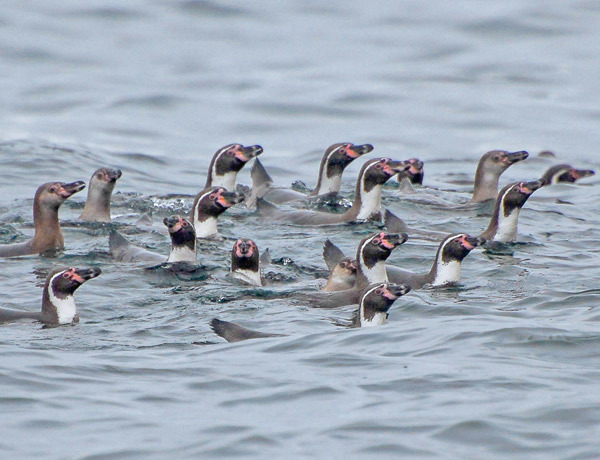 Depending on the season, we might be able to watch migratory birds, such as Surfbirds, Ruddy Turnstone, Whimbrel, Royal Tern, Elegant Tern, and Sandwich Tern. We will also stop at Cavinzas Island in order to admire a stunning South American Sea Lion colony of over 8000 individuals. Continuing the tour we will go sailing offshore for an hour and a half to reach 30-40 miles. 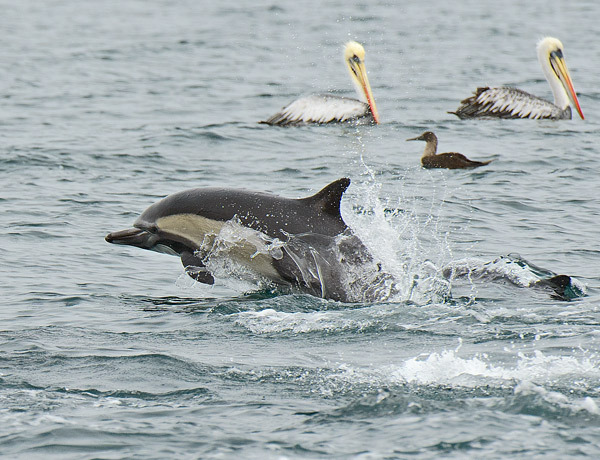 On the way we will see groups of Dusky Dolphins, Bottlenose Dolphins and with some luck a whale. 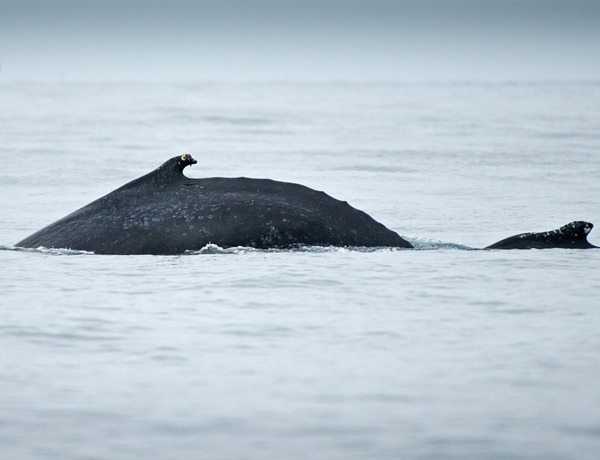 In tours during 2013 Humpback Whales have observed on several occasions (mainly between June and November) and also Blue Whales. On rare occasions we can also see sea-turtles, such as the Green Turtle or even the Leatherback Turtle. 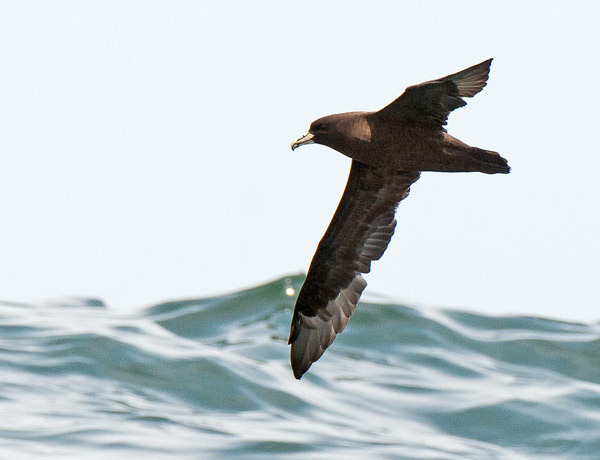 Some of the bird species that can be seeing before the 30 miles are Peruvian Diving-petrel, Wilson's Storm-petrel, White-bellied Storm-petrel, Sooty Shearwater, Pink-footed Shearwater, Sabine´s Gull, Swallow-tailed Gull, Chilean Skua, Parasitic Jaeger, Red-necked, Red Phalarope and Waved Albatross. Upon reaching the 30 miles we stop to chum (which basically is fish oil and viscera) in order to attract pelagic birds. 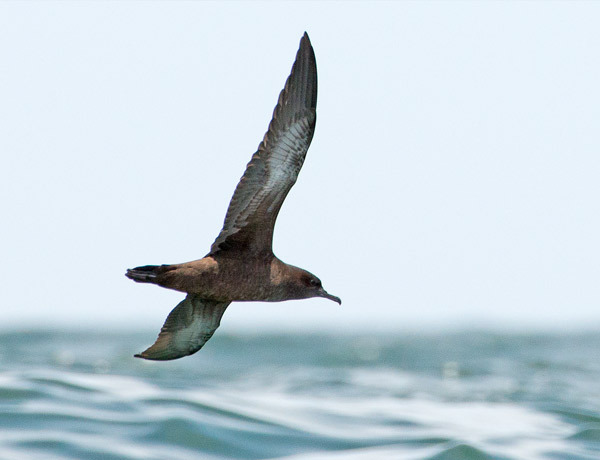 Among the birds species that we expect to watch in this area are Hornby's Storm-petrel, Markham's Storm-petrel, Wedge-rumped Storm-petrel, Salvin's Albatross, Buller's Albatross, and others. Around 11 am we will begin the return to port; this trip takes about 2 hours. The Pingüino III is a double hull fiberglass vessel with two new outboard engines. The boat has a capacity of 12 passengers. 1) We provide life jackets for all passengers. The use of safety vests is required under Peruvian law throughout the tour. 2) The vessel is equipped with two radios that allow us to communicate with other vessels and shore. 4) We have two GPS navigators and digital navigation charts. 5) The vessel is equipped with a Satellite Phone that allows us to communicate with the Coast Guard in case of an emergency. 6) Other safety equipment: flares, signal mirror, ring rescue, first aid-package, bilge pumps and an analog compass. -Seven hours of sailing from the coast to at least 30 miles away (depending on sea conditions). Bilingual Guide (Spanish/English) specializing in pelagic birds and identification of whales and dolphins. -Box lunch on board (usually sandwiches, vegetables, crackers, fruit) and water. -Life jackets of different sizes, if you are traveling with children or smaller than normal people let us know to provide a vest according to their size. * The tour does not include the transfer from your hotel to the embarkation point, if you require this service please let us know.